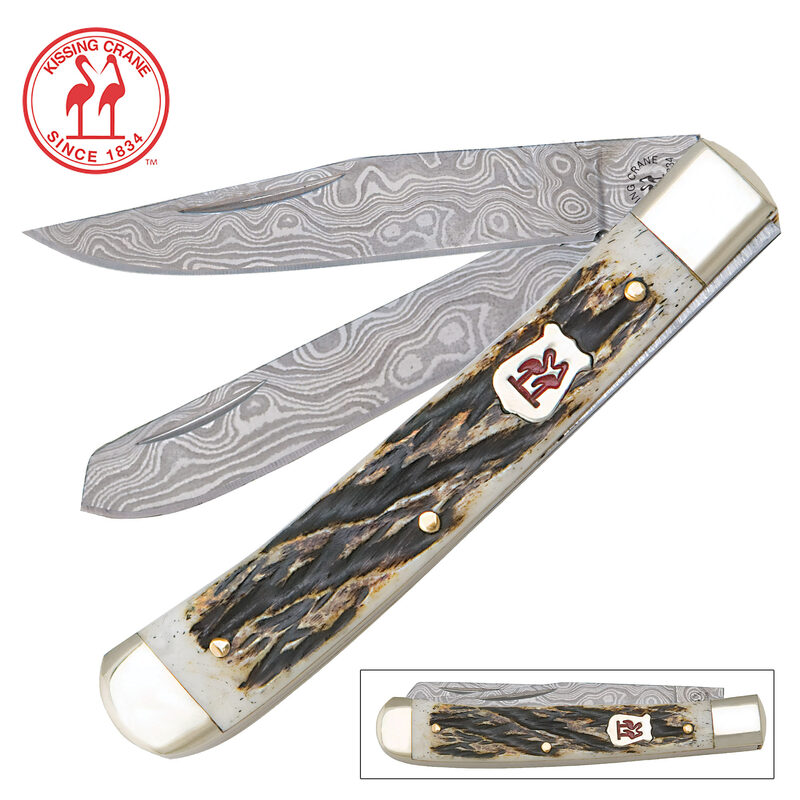 Kissing Crane Burnt Bone Damascus Trapper Pocket Knife | BUDK.com - Knives & Swords At The Lowest Prices! 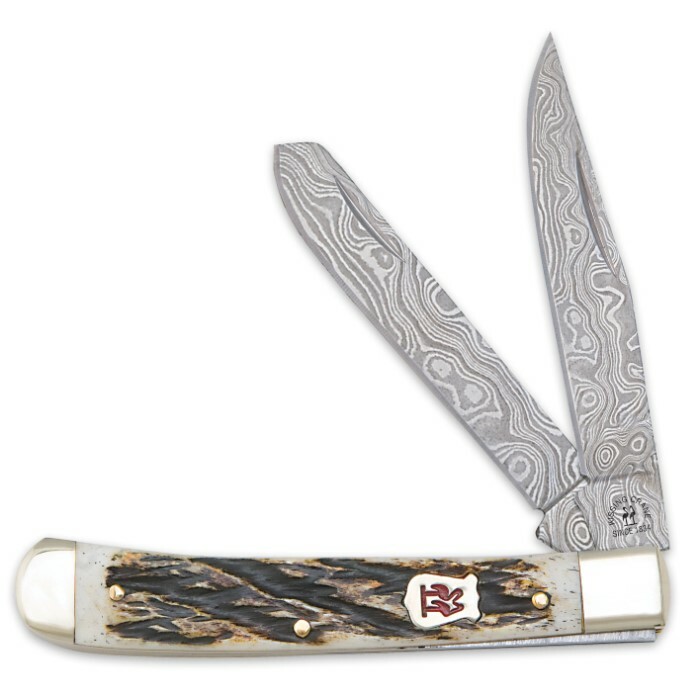 You won't find a better folding pocket knife at a better value than this classic Burnt Bone Trapper pocket knife from Kissing Crane. 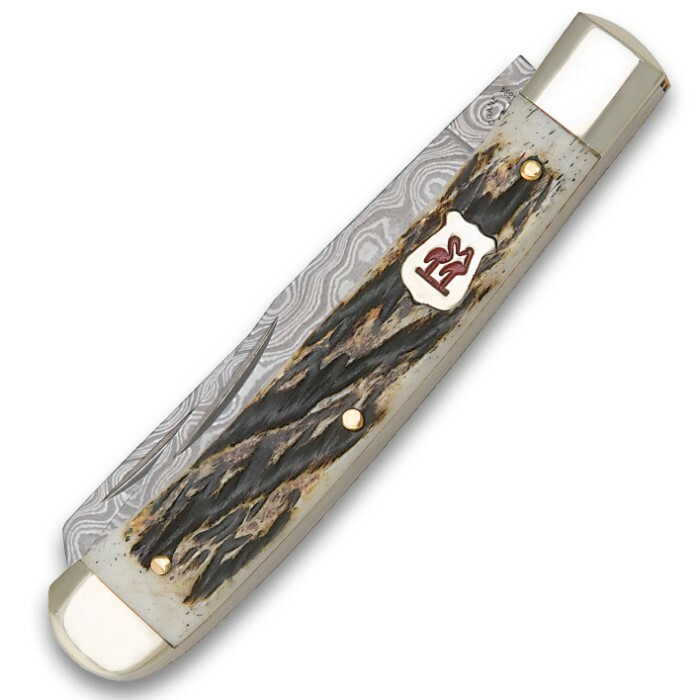 From the quality Damascus steel blade to the handsome burnt bone handle, this pocket knife is sure to please.